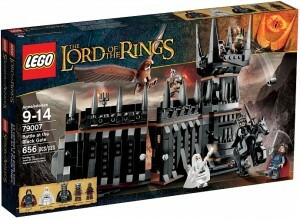 This set comes from the LEGO Lord of Rings line. It replicates the scene of the Battle at the Black Gate from The Return of the King. This is cool set that was only released last year. The auction closed at $37.10. That is barely above the starting bid. Looks like LEGO Lord of the Rings is still readily available. Tagged eBay, LEGO LotR. Bookmark the permalink.